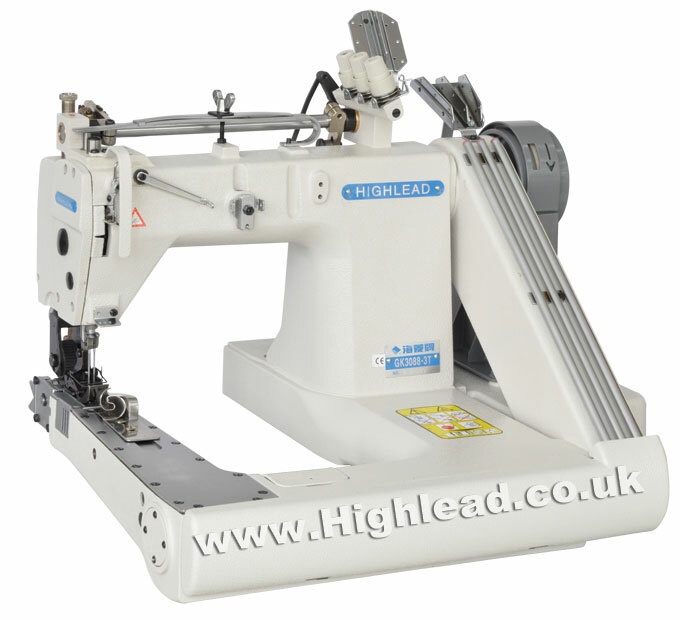 Highlead GK3088-3T three needle chain-stitch narrow cylinder feed off the arm industrial sewing machine fitted with back mounted puller feed device. For stitching and lap seaming thicker materials i.e. Jeans etc. 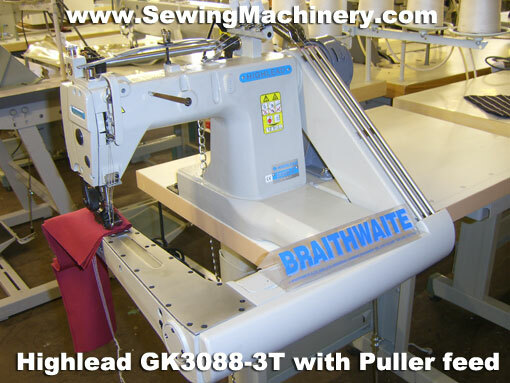 High-speed up to 3500 stitch per minute. 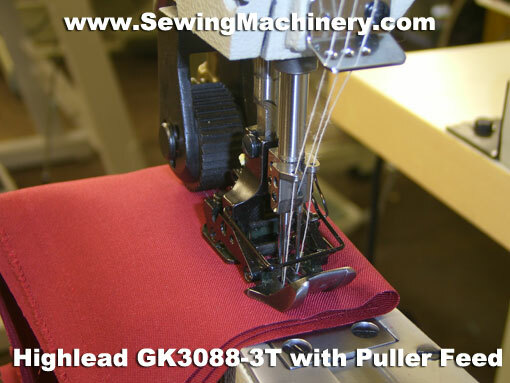 Also available GK3088-2T Feed off the arm sewing machine, Chainstitch cylinder arm twin needle for thin materials.